“You can see the pigmentation really well, even after a long time,” says Rosvold. 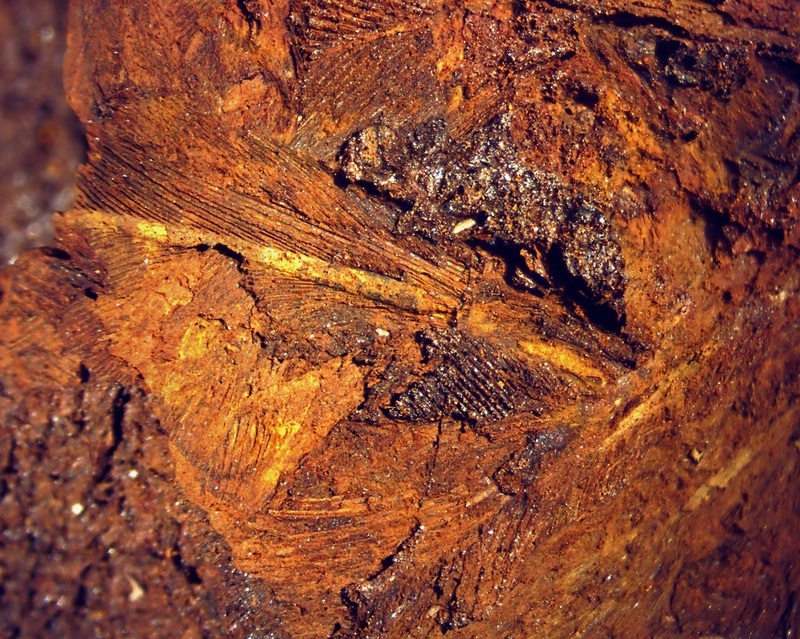 For example, you can see pigmentation in feathers from early Viking times, around 800 CE. Game birds are recognizable by the rings around their barbules. 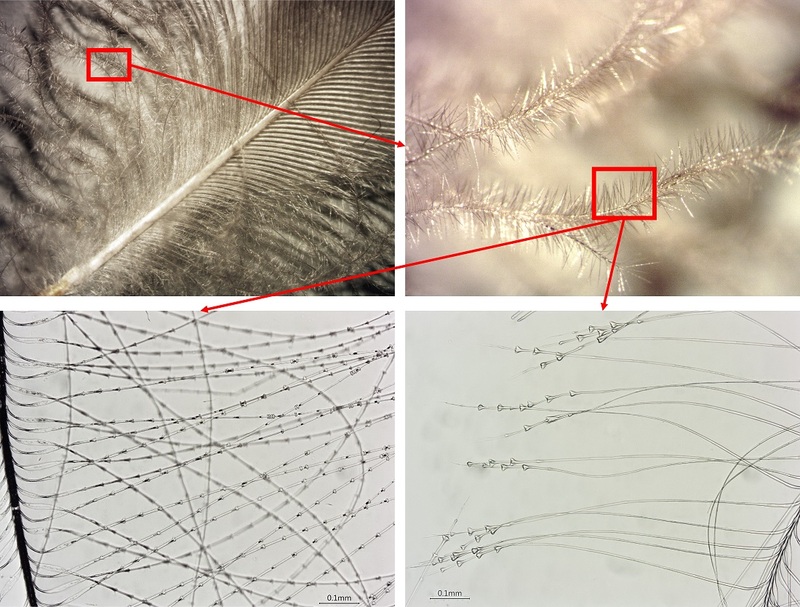 Duck feathers have distinctive triangular growths. But this is clearly an art for specialists. Conservator Leena Aulikki Airola at the NTNU University Museum is skilled at detecting the impression of feathers in metal, among other things. This can happen when a sword is laid on a feather pillow in a Viking grave, for example. Over the years, the sword corrodes and the feathers in the pillow become covered with the rusty metal. As part of the project, researchers are studying Swedish and Norwegian grave discoveries from the Nordic Iron Age, including the Oseberg grave, to find out which birds the feathers come from. For a long time people simply took what they had available to stuff their pillows. 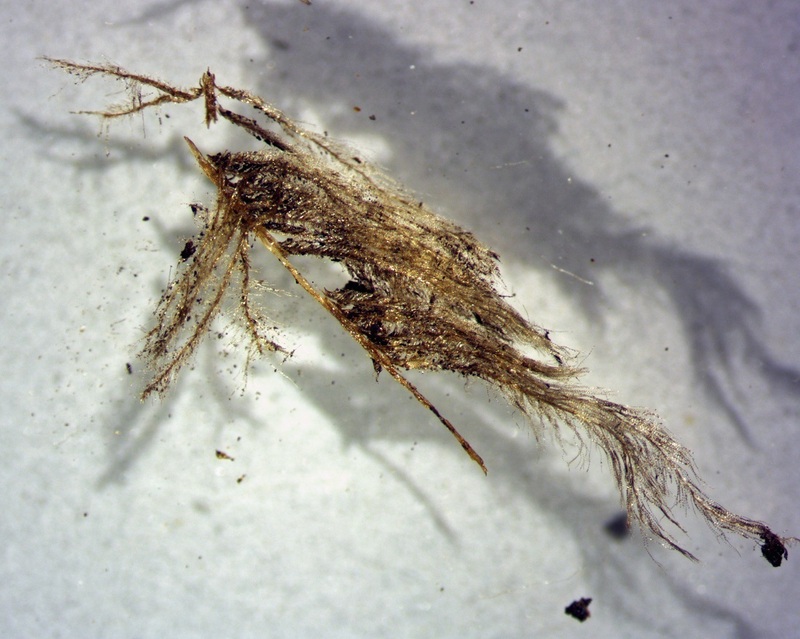 The researchers have found feather samples that date as far back as the late Germanic Iron (or Merovingian) Age, from around 570 and through the Viking era. No earlier use of feathers in Norway has been discovered, but that doesn’t mean that it didn’t take place. The Romans used a lot of feathers in their pillows, for example. But knowing your feathers can also potentially solve crimes or save lives, such as for investigators who need to collect evidence. One specialist in the United States works primarily with feathers from birds that have collided with airplanes. Finding out what kind of bird crashed into the plane might enable you to take action to reduce the risks. Those microscopic details could end up being really important.